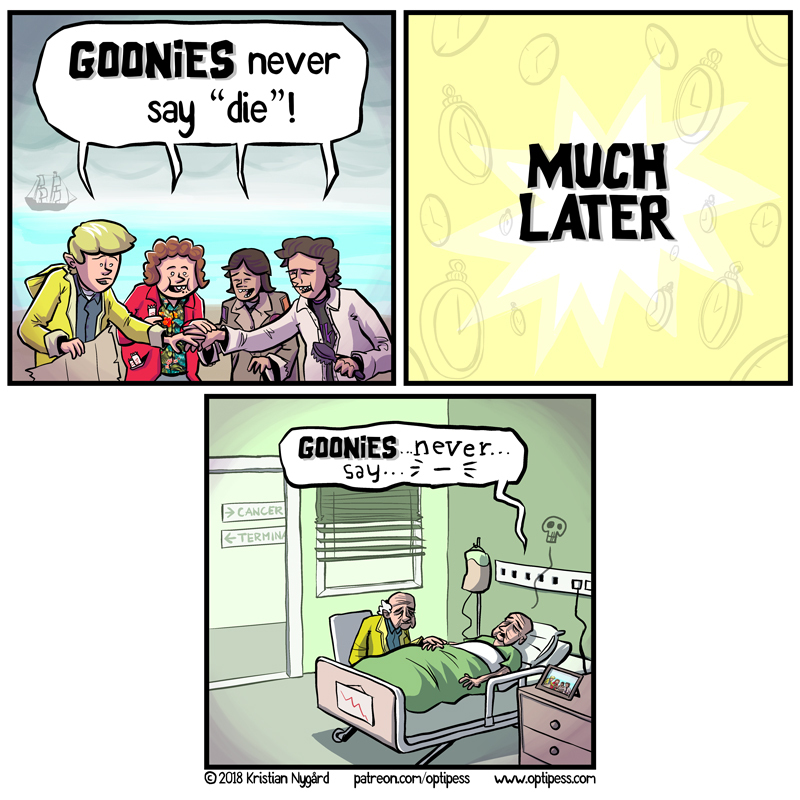 Optipess - GOONIES Never Say Die! Yay! This was one of my childhood favourites, and this comic is my pitch for an exhilarating GOONIES 2 sequel.